Although over 330,000 British and French soldiers were evacuated from the Dunkirk beaches between 26 May and 4 June, many thousands remained in France, most under French command. Churchill, now the Prime Minister, and desperate to keep the French in the War, decided to form a Second BEF made up of 51 Highland, 1st Armoured and the Beauman Divisions, reinforced from the UK by a second Corps. He also ordered vital and scarce RAF fighter squadrons to France. Had these been lost the Battle of Britain might have had a very different result. General Alan Brooke was to command the second Corps comprising the only viable formations in the UK. Realizing the hopelessness of his mission he delayed for as long as possible. Meanwhile the situation in France went from bad to worse and five units were squandered. At St Valery 800 of the 51st Highland Division surrendered after heavy fighting and being outflanked by Rommel. This is the fascinating story of a disaster that could have been so much worse had Churchill had his way. 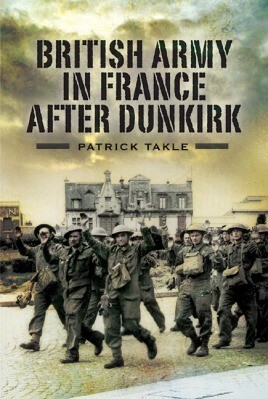 Patrick Takle spent 33 years in the British Army, serving in the Infantry and as an Intelligence Officer in specialist units.Following his retirement, he pursued a career as an international banker and management consultant, working in Eastern Europe.He is the author of The Affair at Néry and British Army in France After Dunkirk, both in print with Pen and Sword Military.